The CW's universe of DC superhero TV shows have never shied away from making Star Wars references (especially on The Flash where Mark Hamill is a recurring guest star), but they will be taking it to a whole other level in 2017 on DC's Legends of Tomorrow. Entertainment Weekly announced this week that a young George Lucas, played by Matt Angel, will appear in an episode set in Los Angeles in 1967. 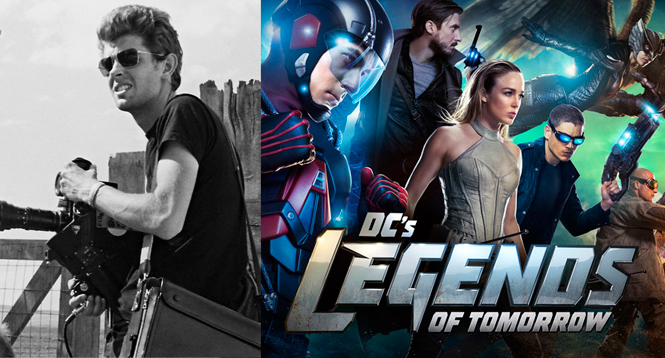 Legends of Tomorrow producer Marc Guggeheim told EW, "Because of circumstances, the time aberration in episode 209 is George Lucas quits film school. As a result, he never makes Star Wars or Raiders of the Lost Ark. As a result, Ray, who became an engineer because of Star Wars, and Nate, who became a historian because of Raiders, slowly start to lose their brilliance, because those things that inspired them to become who they are didn’t exist." Lucas will appear on the midseason premiere, which airs January 24th.